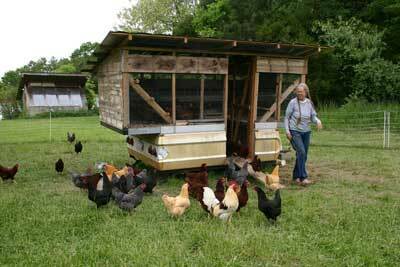 Cathy Jones checks on one of her her egg-mobiles at Perry-winkle Farm. 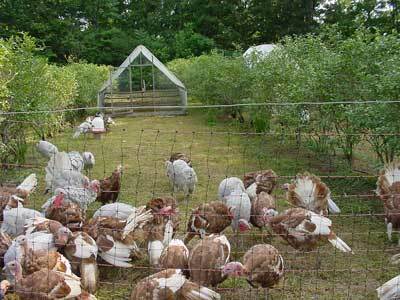 Pastured layers forage at Perry-winkle Farm. 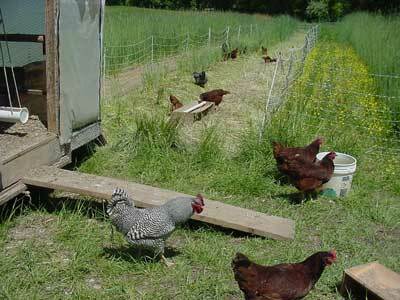 The egg-mobile is moved frequently, sometimes allowing the chickens to graze and forage on pasture, and other times they are brought in to clean up after a crop is harvested such as in this photo. Note the portable electric netting fence used to delineate the foraging area. 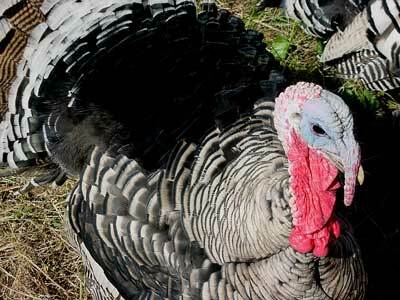 A Naragansett tom, one of the heritage breed turkeys raised on pasture at Peregrine Farm. 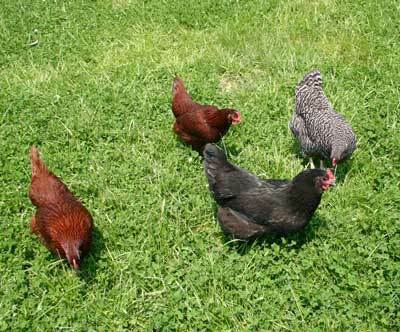 Bourbon Reds and Slate Grays foraging in the blueberry patch at Peregrine Farm.